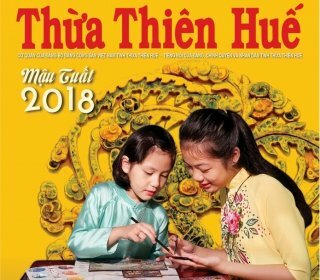 At the nationwide Newspaper Festival 2018 co-chaired by the Vietnam Journalists Association and the People’s Committee of Ha Noi city in collaboration with the Central Propaganda and Training Commission, the Ministry of Information and Communications, and the Ministry of Culture, Sports and Tourism, the Thua Thien Hue Newspaper got the A prize for the beautiful Tet newspaper cover. 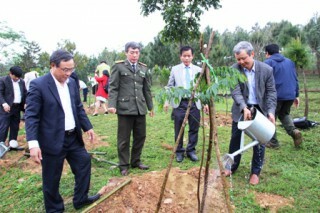 On the morning of February 22, the Department of Agriculture and Rural Development held a ceremony to launch the "Tree-growing Tet to express Gratitude to Uncle Ho" in the spring of the year of the Dog 2018. 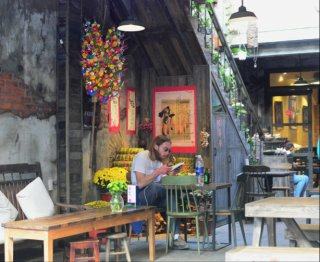 With chưng cakes, crystallized ginger, calligraphy, etc., the program of "Hue Tet" taking place at Hue Museum of Culture has created the bustling atmosphere of the spring. 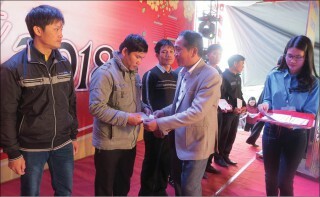 Paying special care for trade unionists and workers at grassroots levels is the direction of Mr. Bui Thanh Ha, Deputy Standing Secretary of the Provincial Party Committee at the "Tết sum vầy" (a gathering lunar new year) program organized by the provincial Federation of Labor in Phong Dien Industrial Park on February 3 and 4. 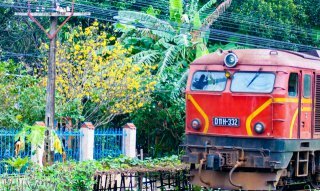 On February 6, at Hue Museum of Culture there will be a representation of Hue Tet with various activities such as competition of making chưng cake and tét cake (glutinous rice cakes), competition of making different kinds of mứt (crystallized ginger, sweetened coconut, jams, etc. 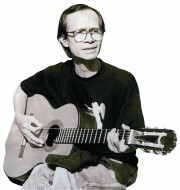 ), organizing folk games and entertainment programs, etc. 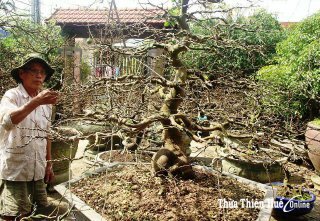 Through the periods of cold rain, gardeners in Hue are now paying more attention than ever to care for the flowering apricot trees because this is the decisive moment to time the apricot bloom for Tet holiday. 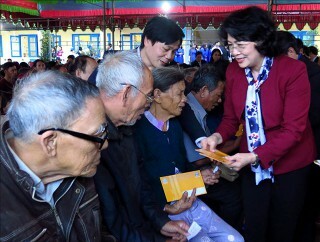 On the afternoon of January 24, Member of the Party Central Committee, Vice President Dang Thi Ngoc Thinh paid a visit and handed gifts to the poor families, policy-favored households and disadvantaged children in Phu Vang district on the occasion of the coming Lunar New Year holidays (Tet). 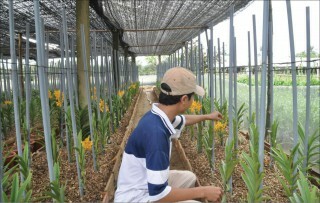 After the flood, farmers growing vegetables and flowers are urgently preparing the supply for the Tet market with many new species put into production. Hue yellow apricot trees come into bloom only once by the end of December in lunar calendar, and their branches develop slowly. 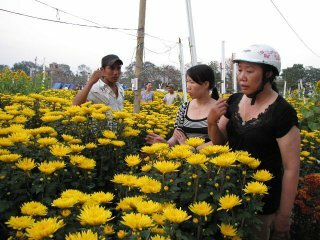 Because of these characteristics, to have beautiful-shaped yellow apricot trees which bloom on the occasion of Tet holiday, flower growers need a lot of experience and patience.